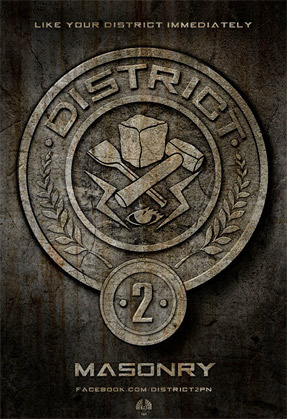 Time to start the District Wars! Lionsgate has unveiled the first five Districts from The Hunger Games adaptation, written & directed by Gary Ross starring Jennifer Lawrence, in a future where the Capitol rules over 12 districts in a place known as Panem. These posters are part of the ongoing viral (website here) and are only the first of many, as we have all 12 districts to name. 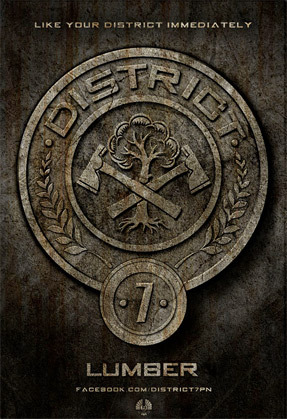 They've revealed Districts: 2-Masonry, 7-Lumber, 8-Textiles, 9-Grain, and 12-Mining, the District Katniss is from. 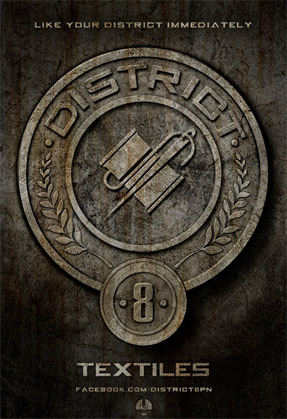 Each one is responsible for a certain job, and each one is represented in their own way leading up to the Hunger Games. Check ’em out! As you can see, they say "Like Your District Immediately" as they come straight from Facebook. 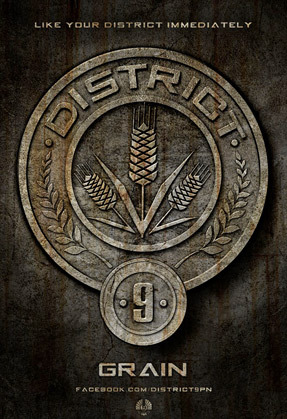 If you click on whichever district is your favorite below, you'll be taken to the Facebook page for that District to like it. Glad to see some updates on this viral, as that teaser trailer wasn't much. Watch the latest official trailer. I believe more Districts will be unveiled as they fill up with candidates on the viral site at thecapitol.pn - you can see the Processing Queue filling up (oh, and the Capitol symbol), so stay tuned for more updates. 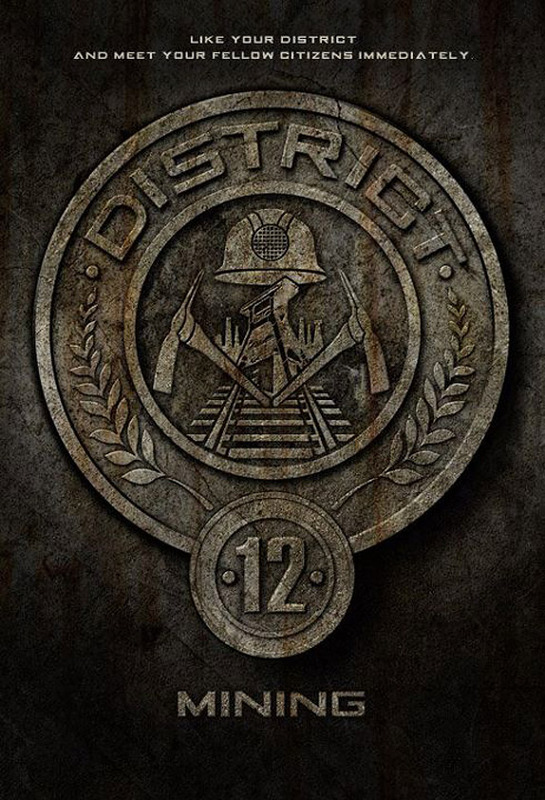 District 11, FTW! For Rue! Hope they don't screw up the films too bad. Lionsgate, is shaping up to be solid studio that will surely take a bigger bite out of next year's box office revenue!!! oooh very nice. and jennifer lawrence as katniss is steadily growing on me, thank goodness. Half way through Mockingjay.. Its a really good story. Will be waiting to see how Gary Ross sees it! Hope its good. Jennifer Lawrence seems to be a good Katniss at least. The whole third act is so anticlimactic. I think Gale is HOT!!! Hunger games - best book i've read!! !